The University of South Carolina student was trying to get home after a night out with her friends. Now, her family and friends are mourning their loss. On Thursday night, Samantha Josephson and a group of friends went to Five Points, a nightlife area in Columbia, South Carolina. Her friends last saw her at around 1:30 am near the 700 blocks of Harden Street before she was separated from the group. Following this, surveillance video footage shows Samantha entering a black Chevrolet Impala near 715 Harden Street. 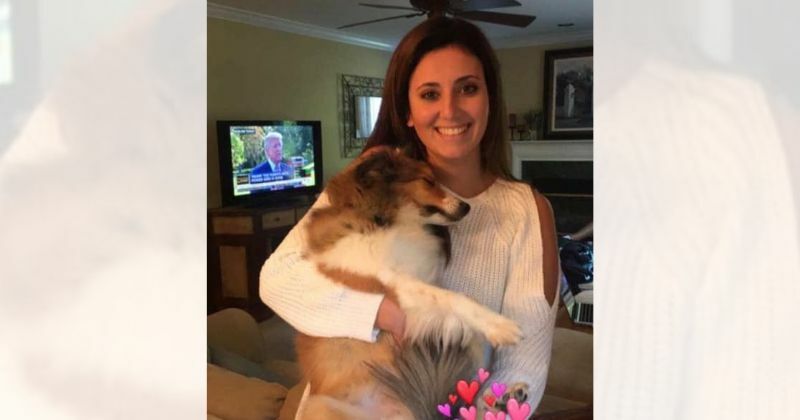 Her friends were concerned about Samantha and her whereabouts and, after waiting for about 12 hours, finally made a call to the police at 1:30 pm on Friday afternoon. As police officials began their investigation, they received a call from turkey hunters who had discovered a body at around 4 pm on Friday about 40 feet away from a dirt road in Clarendon County, southeast of Columbia, CNN reports. The body was identified as Samantha's. Now, her family and friends are mourning their tragic loss while investigations to accurately determine the culprit responsible for her death are ongoing. A suspect, Nathaniel David Rowland, 24, has currently been identified and arrested. At 3 am on Saturday, police officials observed a matching Impala mere blocks away from Five Points and pulled the vehicle over. Though the suspect tried to run, police officers were able to catch him. A thorough examination of the car revealed traces of blood on the car's passenger side as well as in the trunk. The blood was a match for Samantha's. In addition to this, the young woman's cell phone was found in the passenger compartment. Investigators also discovered a container of liquid bleach, germicidal wipes, and window cleaner, suggesting that the suspect attempted to clean any evidence of the alleged murder prior to driving the vehicle. Furthermore, the car's child safety locks were turned on, which would have potentially made it very difficult for Samantha to escape. Despite the fact that Columbia police have identified a suspect, they are yet to state exactly how Samantha died. Warrants provided on Sunday by the State Law Enforcement Division, however, indicate that the victim had “numerous wounds evident on multiple parts of her body to include her head, neck, face, upper body, leg, and foot.” This does not provide a cause of death but does reveal the brutality with which her life was unfortunately taken from her. Since her passing, her father Seymour Josephson has taken to social media platform Facebook to express his deep grief. In a moving post, he stated: It is with tremendous sadness and of a broken heart that I post this! I will miss and love my baby girl for the rest of [my] life. Samantha is no longer with us but she will not be forgotten. It is extremely hard to write this and post it but I love her with all my heart. I could continue to write about her but it kills me. I sit here and cry while looking at the picture and write this. He accompanied the post with a sweet photo of father and daughter in their home. The President of the University of South Carolina, where Samantha was a student, has also released an official statement. It read: It is with the heaviest of hearts that I write these words this morning. Our prayers are with the family and friends of Samantha Josephson following the devastating news of her death. Times like these leave me searching for words of wisdom and comfort. However, I take solace that the Carolina Family is here to embrace those who are hurting. The concerned president also offered words of advice to students who have made plans for the weekend. He recommended, "Remember the tenets of Stand Up Carolina: look out for one another, be active bystanders. Travel in groups and stay together. If you have not already done so, download the RAVE Guardian safety app, set up your profile and learn how to use it." Finally, the grieving school official concluded, "It has been a difficult week for our extended Carolina family. The loss of a student is never easy but this has been a particularly painful few days as we have experienced loss on several of our campuses. As a family, let’s continue to pray for all the families experiencing heartache and grief this week." At present, the suspect is being held in a prison in Columbia. He faces two misdemeanor charges for failing to stop on police command and for simple possession of marijuana. Should he be convicted of Samantha's murder, further charges will be added. A vigil was recently held in her honor, but funeral services will be held on Wednesday, April 3, at noon with services in East Princeton, New Jersey, the Josephsons' hometown.